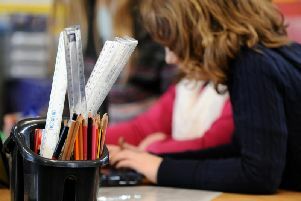 A furious Sheffield mum was forced to pick her daughter up from school after staff said her trousers were ‘too tight'. After the ‘overwhelming’ response on Facebook, Claire, from Sheffield, decided to launch a petition urging the school to review its uniform policy. This is something that was raised by parents and which is why they wanted the uniform policy and it would be unfair to change it now. “I’m not prepared to relax our high standards. It’s why Forge Valley is oversubscribed and we could not say that when the school opened. Mr Barrowclough said he would not want to introduce a logo school uniform as that would increase the cost to parents. “A lot of girls also have issues about their weight and their body image,” explained Claire.